Growing up is entirely optional—at least when it comes to home design. Though it’s surely filled with stuffed animals, a wide array of pastels, and motifs that may feel a bit too immature for an elevated design, the children’s department is a surprising place to find home goods even adults can love. In fact, it might just be the greatest place to buy interior accents that you aren’t already taking advantage of. Children’s home stores and departments aren’t just rife with purely juvenile options—within them, you can also score serious deals on things like lighting and rugs and even scout out some decor that appeals to all ages. Great design, after all, has no age restrictions. Need some help sorting through the troves of kids’ finds? Shop our children’s department home edit below. Add an abstract rug to a room, and it will instantly feel revived. This pastel option is versatile, thanks to its muted color scheme, but it still has a playful nature. 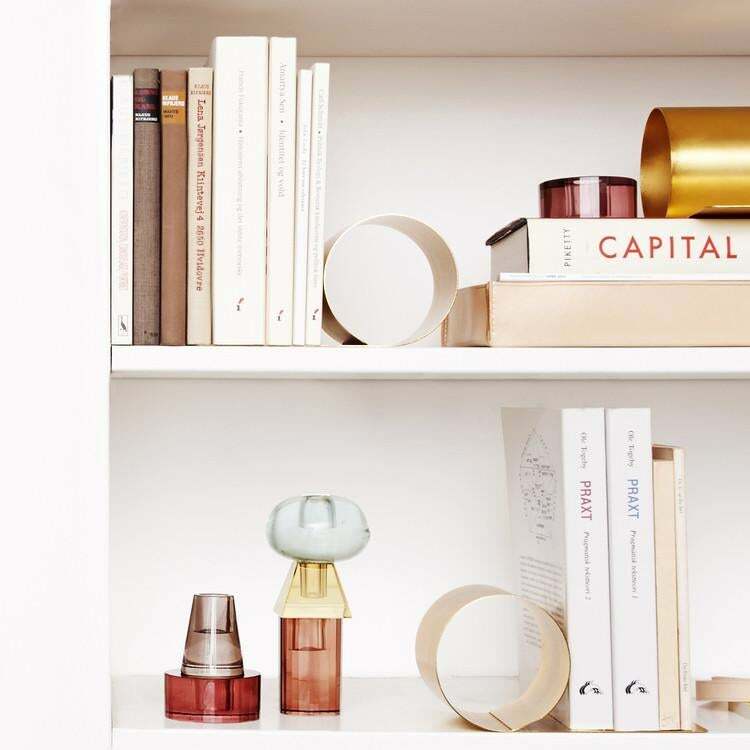 With this gold-toned shelf, it’s easy to store knickknacks in an elevated way. Neon signs are a fun way to bring a whimsical touch to your space, but they can end up being a bit pricey—this affordable rainbow option offers a playful vibe at a perfectly reasonable price. Another surprising children’s store find: chandeliers, like this starburst effect option. Made with acrylic beads, this fixture is high-quality and adds major design points to any space. This mobile might be intended for babies, but its combination of metal and wood in simple, geometric shapes makes it pleasing for design lovers of all ages. Slightly shorter than a typical nightstand, this piece is ideal for those with lower platform beds—no need to struggle while you reach for your water glass. With a sunset-hued color palette, this throw pillow cover makes for an especially cheerful addition to a couch or bed. This pretty striped pot is basically begging to house a lush pothos. For less than $100, this simple stool can do it all: act as a side table, a place to drop your keys, a pedestal for a houseplant, and more. This monochromatic wall art adds dimension to a space without overwhelming. Situate it on its own for a more toned-down (yet elevated) look or add it to a gallery wall to please your more maximalist whims. Is this wool rug a part of Pottery Barn Kids’ Harry Potter decor collection? Yes. Do we think it’s the perfect grounding piece for a rustic or bohemian living room? Also yes. With a simple, geometric pattern, this rug is an easy addition to a kid’s room, but it can easily work in a larger living space. Since its multicolored palette is rich with earth tones, it adds a bohemian element. This striped pick may be a baby blanket, but it also looks sweet thrown on top of an armchair. It’s on the smaller side for a traditional throw blanket, but its bright hues of pink and orange give it a bigger presence. A simple geometric bookend brings a brass accent to any shelf. Use it to prop up large tomes, like cookbooks and art books. For less than $200, this three-globed standing lamp makes the perfect addition to a reading nook. Standing at five feet tall, it’s an eye-catching lighting fixture that blends well with modern styles.